Chilam Cheung’s (張智霖) new web series Eclipse Storm <蝕日風暴> will premiere on ViuTV’s OTT platform in August. Starring Fiona Sit (薛凱琪), Toby Leung (梁靖琪), and Sunny Wang (王陽明), the drama was produced by Youku and Media Asia with a $180 million HKD budget. The drama was shot in several countries, including Hong Kong, Hungary, and Malaysia to name a few. 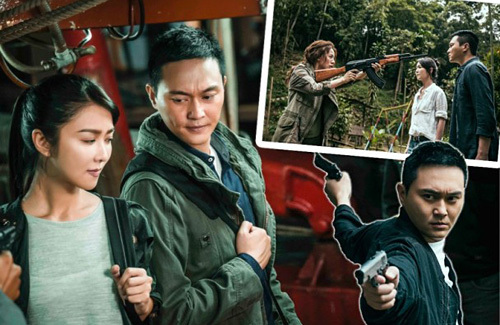 Chilam and Fiona tackle the small screen as a couple for the very first time. One of the still shots released from the series even showed the two sharing a passionate kiss together. @hannah based on the trailer, Youku should show it. @hannah Go to viutv’s website (https://www.viu.tv) and create an account. It’s pretty easy and so far, from what I can see, overseas (non-HK) audiences are able to access…and it’s free (for now).